Armed with just an acoustic guitar and a pleasant voice, Burlington-based songwriter Hana Zara might seem to be cut from the same time-honored cloth as countless idealistic coffee-house songwriters before her. Zara may hold high ideals, but as her new album Tatterhood reveals, she is not your average folkie. Zara’s opening shot across the bow could be dismissed as punkish apathy. Except that the remainder of the record reveals her to be anything but aloof. In fact, it’s fair to surmise her restive nature is born not out of indifference but of profound caring. Moving tunes such as “New World Order,” “Afterlife” and “Lithuania” suggest Zara just sees the world a little differently than most. She’s a deeply sensitive and perceptive writer with a gift for distilling her emotions in a way that is neither trite nor cliché. Zara’s lone weakness is that her guitar skills are rudimentary at best. She does just enough with her simplistic strumming style to create a foundation for her vocals. But that’s no deal breaker. Folk music history is littered with singers who play guitar mostly to have something to do with their hands while they perform. 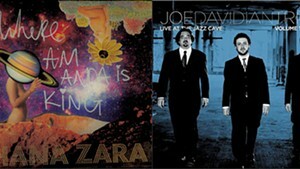 Zara’s uniquely insightful writing and her expressive delivery make her a musician worth listening to. You could say much the same of Tatterhood. It is a rare folk record in which the heroine, Zara, is out to change the world not through majestic idealism but thoughtful, down-to-earth humility. 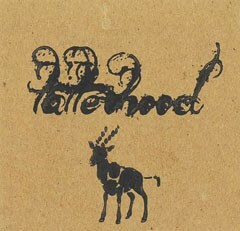 Hana Zara releases Tatterhood with a show at Radio Bean in Burlington on Saturday, June 29.